Part 1. USP's rather than uncompromising silly positions - B.A.B.E. When you are setting up as an actor you’ll often hear the words “branding” and “USP” used a good deal. These two words are not merely clever marketing speak from some floosy who didn’t make it past acting school and moved instead to journalism. These two words encompass two very important things about you, the actor. How you are different and unique from the herds of other actors also on their way to the finishing line….getting cast. Your branding represents how you are perceived and your USP represents how you are remembered. So how you execute your brand is critical. You might not think it matters right now but it does. I would liken it to a new author sitting down to write a book and not really knowing if she’s writing a romance, a thriller or a sci-fi action movie. They’re very different, right? Indeed. So in the same way, every part of your business matters when you set it up. This includes what you are saying about yourself, your look and your skills through your business cards, website, headshots, agent, training choices etc. I decided what better a way to explain this than to consider some of the key tools you are using for the branding of your acting business. And if you haven’t yet, then perhaps these next few blog posts will help you on this journey. The next few posts on B.A.B.E. will cover in more detail some of the key components to consider with your Branding and what your USP’s are, starting with the first one today which is Business Cards. Business cards allow you to give out relevant information for someone you meet at an event, casting (not for the casting director at the casting please!! ), screening, party, acting class, networking night and even on set. Make that little tiny 84mm x 55mm count. First there was Vista Print. Everyone used them. But the business cards, while cheap, were flakey and shaped with different dimensions to every other business card on the galaxy (true story!). Then moo.com came along and finally put actor business cards in a price bracket we could afford that also screamed professional. The thing I love about moo.com cards is that I can put multiple photos on the back each with different looks. Depending on who I meet I can pick out the card that best suits the person I’m talking with. I use moo.com. And no I don’t earn commission by plugging the moo.com but I should ask as I tell actors about them all the time. They really are that good. You are however welcome to use a referral link from my account to get yourself 10% off any purchase you want to make by using: http://www.moo.com/share/bt5m9r. I know one actor who very sensibly uses only one single headshot on the back of hers. For her branding she has decided she wants that one look to be what she is recognised by. I love that. See, she clearly knows what she is working towards and her business cards are geared to that. For other actors who also do modelling, they have a mixture. If they talk with someone about their modelling, they simply pull out a business card with a model picture on the back. But when they want to be taken seriously by another industry person for an acting job, they also have cards with their headshots handy. What should be included on your business card? Email contact details – make a call whether you only want your agents details on there or if you are happy to be contacted directly. What if your agent doesn’t like being spammed with random “hello we met at a party” emails? Check with them. They aren’t your PR company so chances are you might want to include your personal email to make it easier for people to contact you. And make sure that you don’t have angiepangiesholidayfuntimez@gmail.com as your email. This screams unprofessional. If you need to, get a new free email account that simply has your full name just to make sure you don’t look like you are still using one you set in grade 11. Phone contact – in this day and age we still want to be able to chat. Make sure your mobile or landline is there. Not everyone is internet savvy and not everyone wants to be bugging you via email or FB. Social media – this is an interesting one as there are two schools of philosophy – those who don’t mix business with pleasure and those who do. If your social media accounts are strictly for weekend pictures of you having a pint (or ten) with your pals, then DO NOT put your Facebook page on your business card. If you use twitter as a semi professional business tool, then perhaps include your handle, for example @angiepang. For more information on twitter, you can see my double blog post (part 1 and part 2) I wrote a few years back with 5 London and LA actors on how they best utilise twitter. 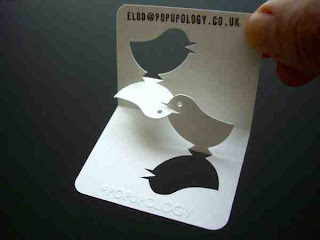 The choice is personal but if in doubt, keep your business card professional. There are other ways to be playful. Website links – again, there are many options here for what you might want to include – your personal website, your Spotlight profile, your IMDB links (for example my website is what I use), your Casting Networks profile etc. The most important thing is that you sell yourself in the best possible light. One credit on IMDB doesn’t warrant a place on your business card, yet. The time will come. For now focus on the place that a person who is interested in your acting chops, can see the most about you. And just pick one. There is no need to confuse them with multiple options. Also, if you choose to use Spotlight, don’t assume the person reading your card knows the prefix to your Spotlight pin. Put the whole URL down just in case. What you do / your occupation – I have written on my card that I am an actor. But that does seem rather obvious to me as I also have a photo of myself on the front and a bigger photo on the back. Maybe I’ll take this off sometime, but for now, in case I am one of a number of cards they receive in an evening, I’ve covered all bases. Who knows, maybe directors will start putting their pics on their business cards soon too…that would be confusing. But this is definitely not something that will make or break your branding. Unless of course you do multiple things, for example Actor/Writer or Producer/Director or Actor/Producer. Be very clear about how you will be perceived if you add all your job roles. I once saw a business card that said John Doe, Actor / Director / Producer / DOP / Writer. I would not hire that person for any of those things. To me that screams jack of all trades, master of none. Be very clear how you want people to see you. If your writing is first and foremost, perhaps that is all you should have on there. Only you can make this call – but it does affect YOUR BRAND. A NOTE about privacy: Finally, if you are concerned about the legitimacy of the person you are dealing with, be sure to order cards that also don’t have your email or phone number. I would hazard a guess though, that most who are reading this are probably at a stage where they still do give out business cards because people don’t automatically know who they are, or where to find them. The other option is that you can have an acting work email that is strictly for all things acting, and keep your existing email for personal use. Just make sure you have your smart phone or computer set up to be able to access both accounts on a daily basis. Castings wait for no woman after all. As an actor you never want to put yourself in an uncompromising silly position (my alternative USP ending)….you know, where someone doesn’t know what the hell you do, what to cast you as, or how to find out more about you. So take a look at your existing business cards if you have some before you order more and work out, what does my card say about me. It is all part of the way the world is going to conspire towards you booking more work. The next blog will talk about branding with your acting website. Stay tuned B.A.B.E.s. Superb advice. I used moo.com ages ago through flickr. I will certainly give them another try. Thanks Phil! And I agree. It's hard not to love them when I can put 10+ different pictures on the back. Let me know how you get on with them if you try them again.